(October 18, 2007) Photo Gallery Location: Click HERE! Today, Jack visited the Akita Omoriyama Zoo and heard a lot of exciting stories from the zookeepers. In the Omoriyama Zoo, you can observe the animals’ natural behaviour right in front of you. 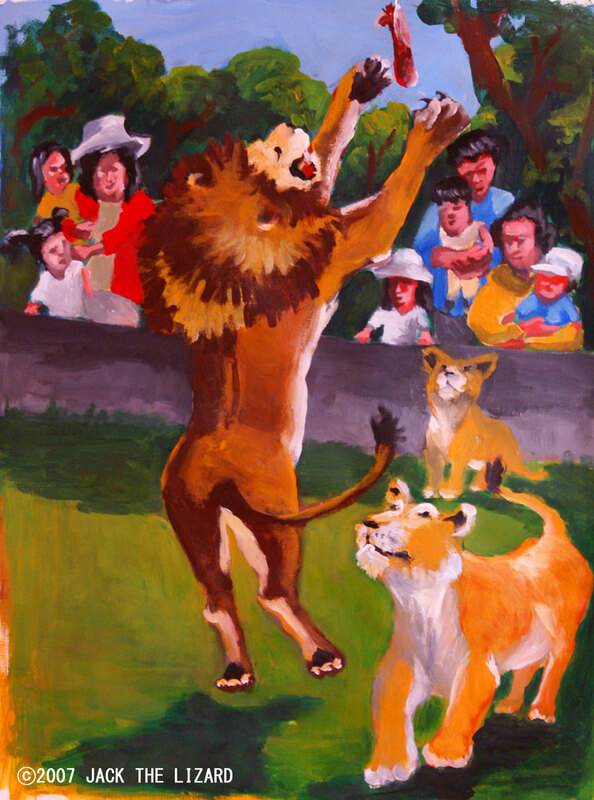 The lions and the Amur Tigers jump towards their meat!! The American Porcupines crunch the food with their sharp front teeth. The Californian Seals come very close to you…. These are just a few examples of some of the amazing things you can experience. Recently his velvets have matured to be a beautiful rack of magnificent antlers. If you come closer to the Wapiti, he bows to show his antlers to tell you how strong he is. 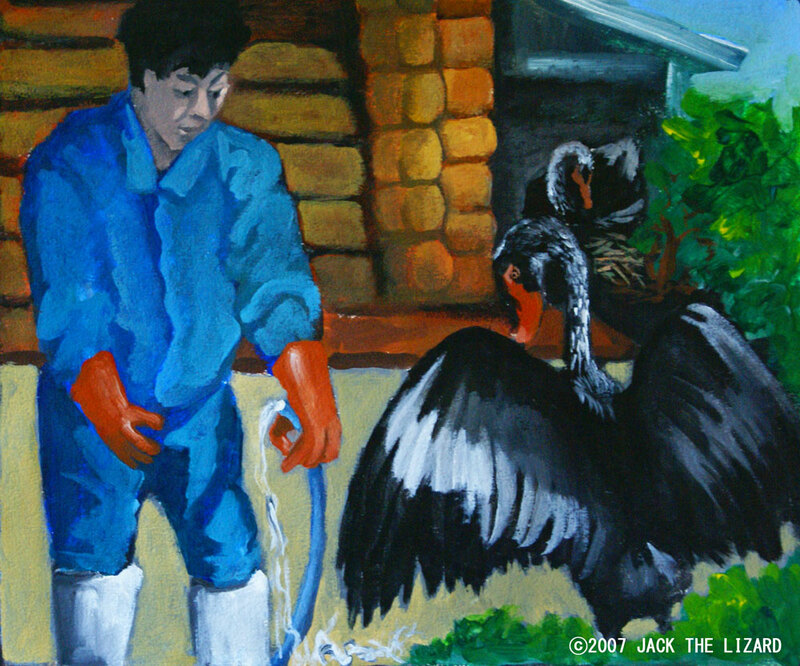 But he doesn’t do this to the zookeeper Mr. Nishimura, the head zookeeper. The veterinarian likes to watch the animals carefully. Really?, Jack cannot find it. 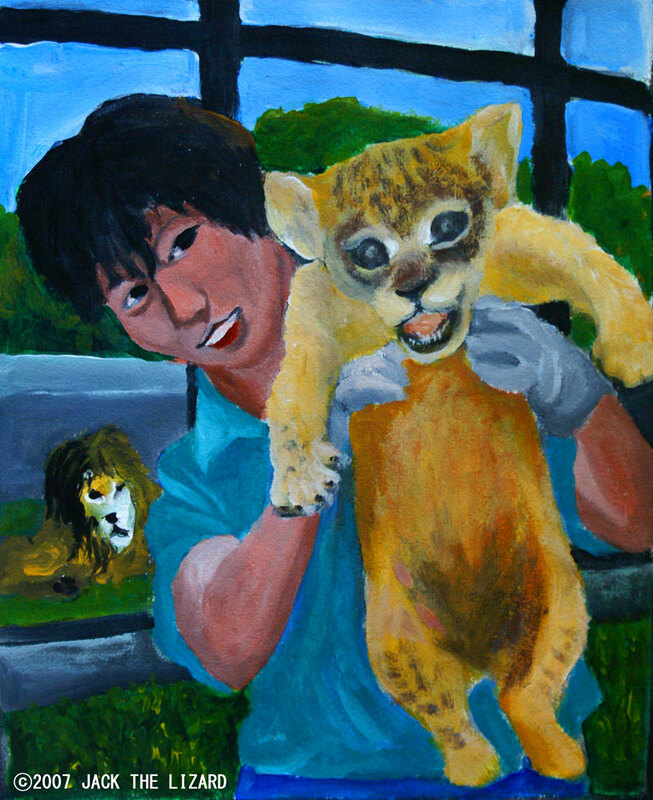 Mr. Nishimura, the veterinarian, likes to watch the animals carefully. 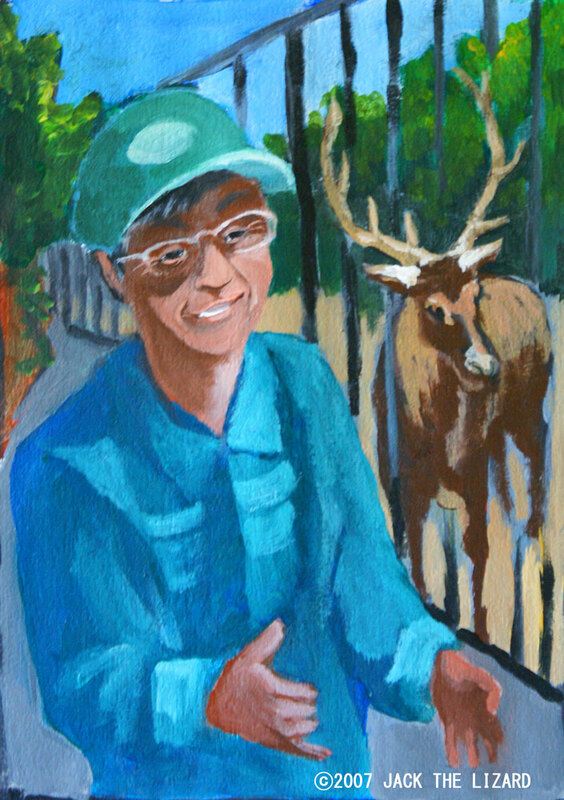 He is an experienced veterinarian, who introduced the rare species, the Okapi, to Zoorasia in Yokohama. 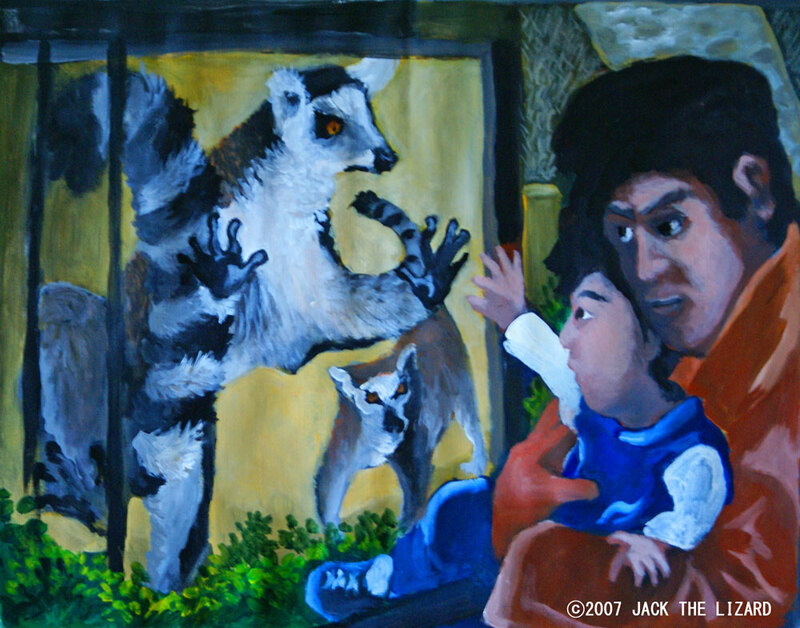 “I was surprised to see the painting of the Ring-tailed Lemurs depicted by a school student.” The lemur has a tiny scent gland for marking behind his right front leg. The student clearly shows that in his painting. “How carefully he looked at the animal! That was amazing!” said Mr. Nishimura. 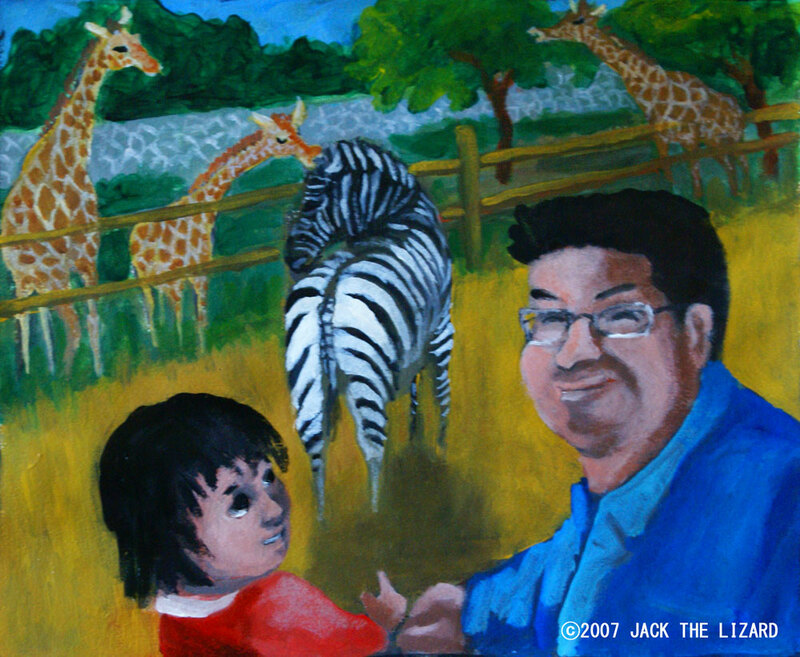 “How do you want to exhibit the animals?” Jack asked. “The animals will be more lovable as you watch them more carefully. So I want to create a more interactive exhibit so that people can watch and feel closer to the animals,” he answered. I love to answer questions. Mr. Honma, the press officer, is very busy taking pictures and representing the zoo on TV show. He also gets a lot of questions from visitors. Mr. Honma is a busy guy. 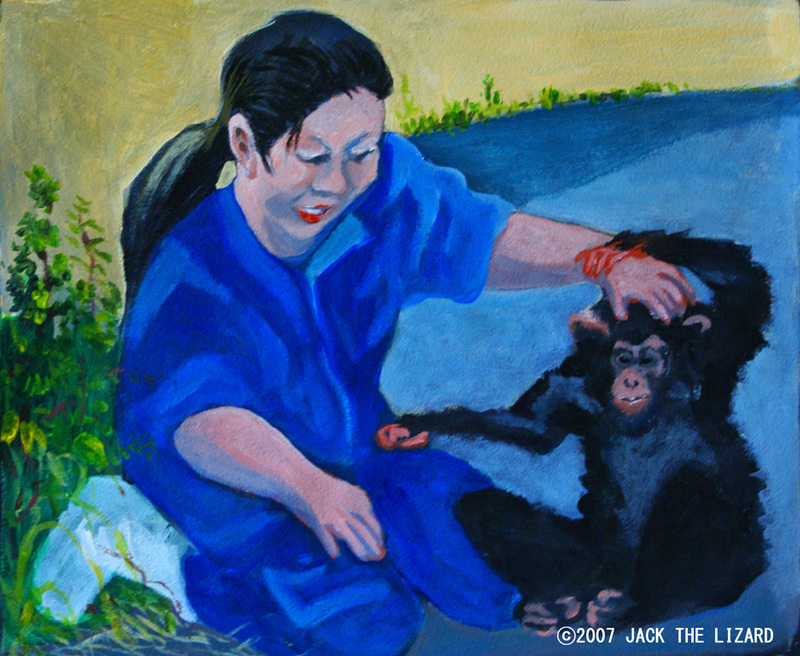 Interaction between the zookeepers and the animals is important. Mr. Sato is in charge of the chimpanzees as well. Amazingly, the chimps chose him to be their keeper. A colleague of Mr. Sato, Ms. Sakuraba, became the surrogate mother of J-Tarou after his real mom couldn’t take care of him. Sometimes J-Tarou comes outside of the facility to play ball with Ms. Sakuraba. “He is very careful and guarded around strangers. Once he get used to the person he becomes quite mischievous.” Ms. Sakuraba knows about chimpanzees very well, but she had a hard time when she was new here. Ponta, the alpha male, threw tree branches towards her, or tried to intimidate and scare her. “We have to be very careful communicating with them because they are so smart. Unlike the other animals, they recognize me even when I am in my own outfit”, Ms. Sakuraba said. The Zenitanago is a rare kind of the bitterling, freshwater fish, found in four prefectures in the Tohoku area. They look normal at a first glance, but their behaviour is very unique. They lay their eggs inside of bivalves. The Omoriyama Zoo has a mud flat where the Zenitanagos lay their eggs into the Dobugai, freshwater mussels Anodonta Woodiana. Their enemy is the American Crawfish, which eats the Dobugai. 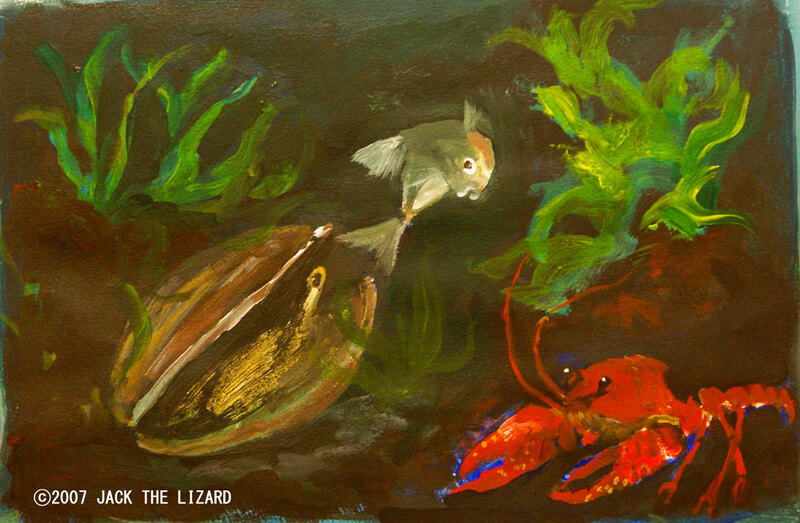 The Zenitanago benefit from raccoons that devour the Crawfish as part of their diet. They share all the job such as baby sitting. The lion cubs are very healthy. The cubs were treated in September because they had terrible rash. The zookeeper, Ms. Okuyama, feels that the cubs are fully recovered. Their father, Kazu, dotes on his cubs and watches them all the time. He scares off the Amur Tiger, who lives in the adjacent cage, if he comes too close to his cubs and his mate. Kazu loves his mate Mango. Their first meeting was auspicious as the cubs were conceived shortly there after. Mango is a good mother and didn’t require any help from the zookeepers to take care of her cubs. 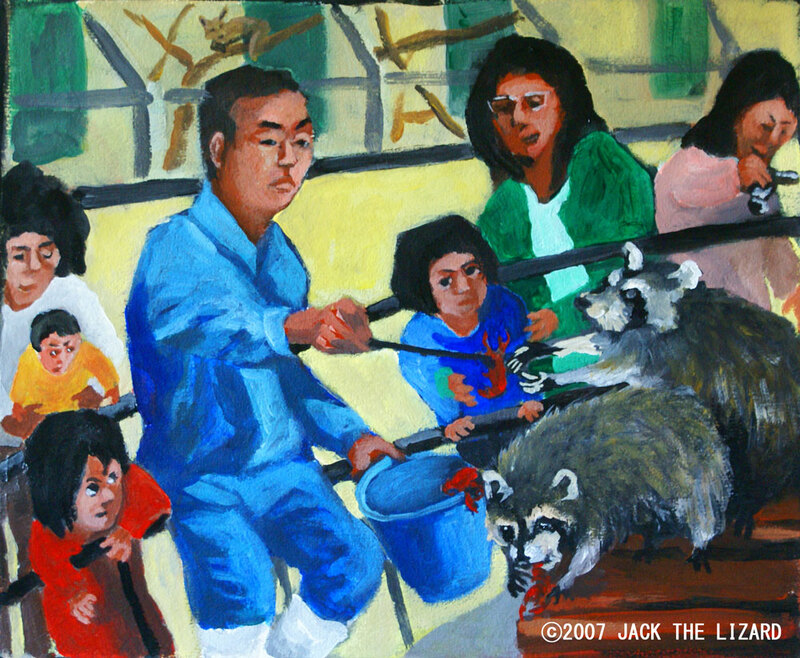 All the zookeepers at the Omoriyama Zoo really love the animals in their care. Jack could feel it while he was talking with them. That was a great experience for him. Thank you very much for such a wonderful experience at the Omoriyama Zoo.